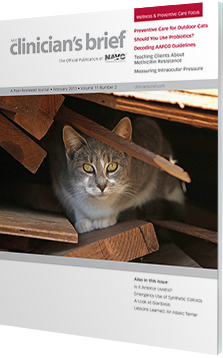 Learn how to provide the best preventive care for outdoor cats, educate clients about methicillin-resistance, communicate the importance of AAFCO guidelines, and measure intraocular pressure with precise accuracy. Plus, how useful are probiotics in practice? Find out in the February issue of Clinician's Brief! A 6-year-old spayed Labrador retriever presented after its leg was caught jumping out of a car. 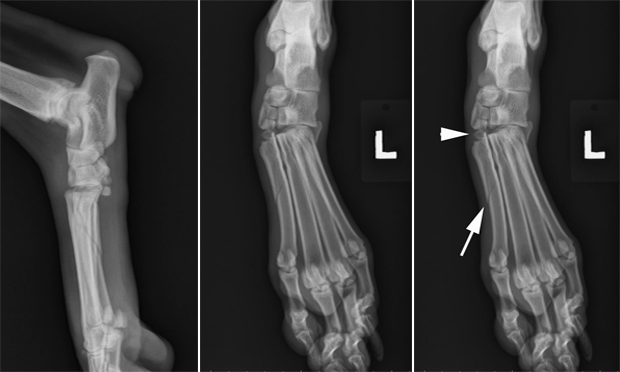 Physical examination revealed left tarsal swelling and effusion. Would you cut this dog? Proper management of anterior uveitis requires a complete ophthalmic examination, accurate measurement of intraocular pressure, and appropriate identification of the cause. 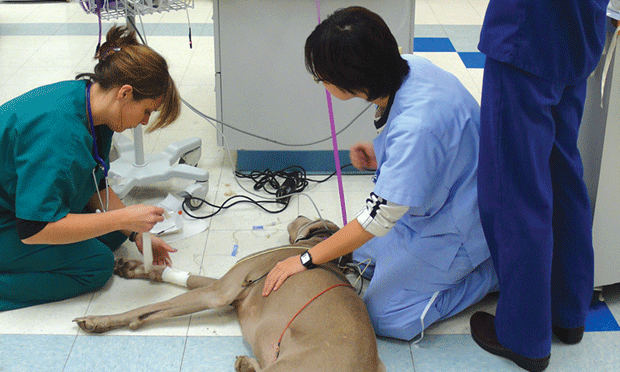 Proper precautions, suggested dosages, and follow-up procedures should first be carefully considered when using synthetic colloids. A French bulldog presents with airway obstruction and subsequent regurgitation. In this surgical video, Howard B Seim III, DVM, DACVS shares his approach to soft palate resection. 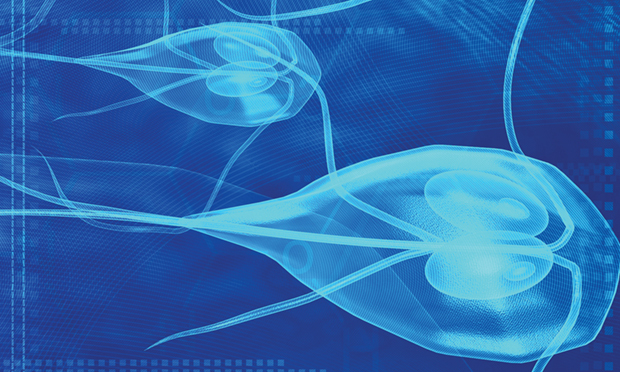 When diagnosing and treating Giardia cysts, it is important to consider the various strains of Giardia spp as well as the options that would be best for the individual patient. 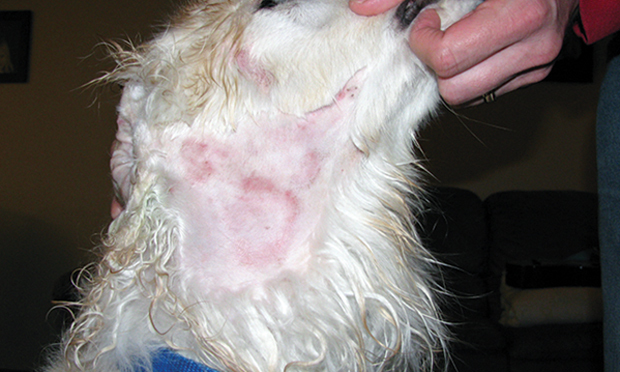 A golden retriever–mixed breed presented for recurrent skin infection of 2 years’ duration involving the right lateral neck. What should be investigated? 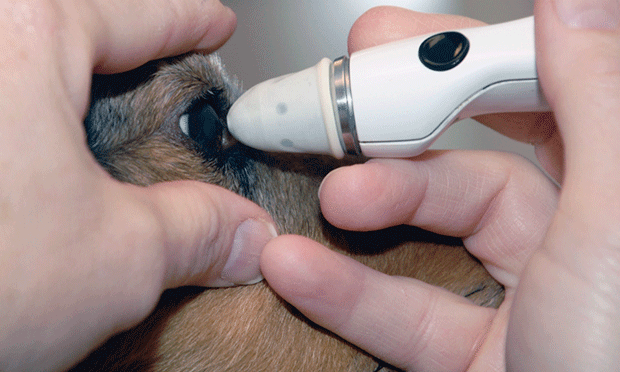 This step-by-step explores two approaches to determining intraocular pressure: applanation tonometry and rebound tonometry. 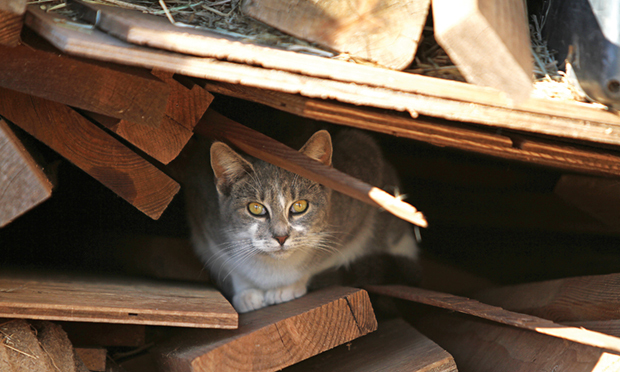 Preventive care measures for outdoor cats, including appropriate vaccinations and parasite control, may reduce risk for disease. 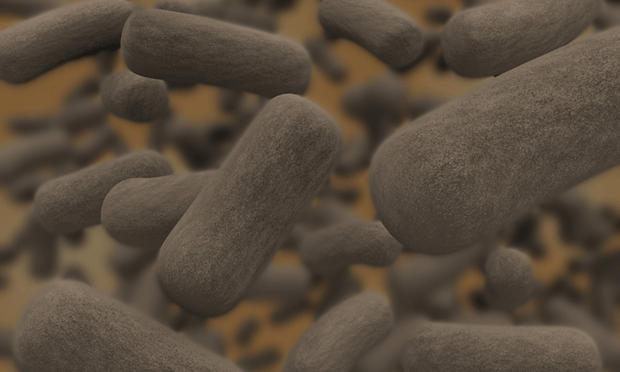 Probiotics show considerable promise for disease prevention and treatment. An expert explains how probiotics are administered, how they work, and their potential risks. 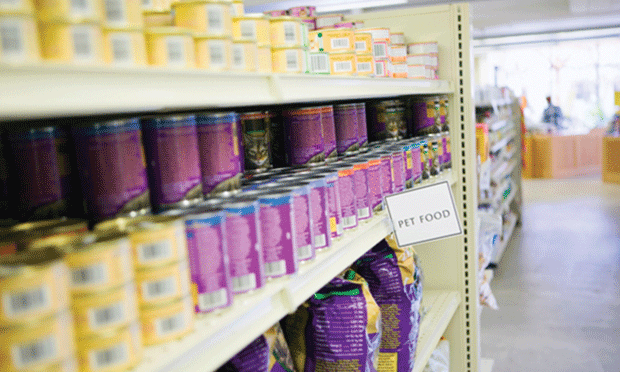 The Association of American Feed Control Officials (AAFCO) provides model feed laws regarding ingredient lists, guaranteed analysis, and nutritional adequacy. An expert explains how to interpret their guidelines. 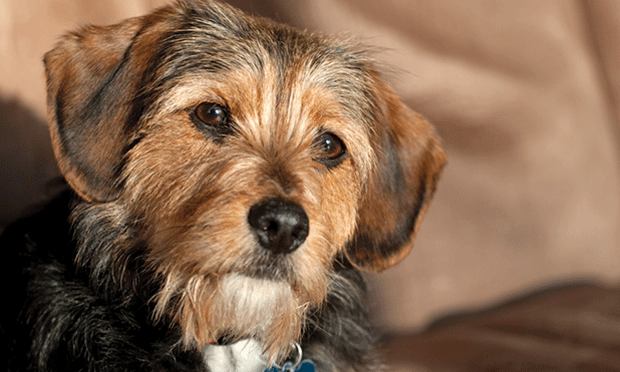 A 1-year-old terrier mix is released after presenting for ataxia and weakness, but represents days later for continued weakness and vomiting. A diagnosis of myasthenia gravis is confirmed. What went wrong? Measuring Acute Phase Proteins: Useful or Not? Residual Disc Left Postoperatively: Does It Matter? Dermatitis Prevention—Another Benefit of Probiotics? Gastric Dilatation-Volvulus: Who Is at Risk?